I interviewed some of the TOP Hampton Roads wedding vendors (planner, hair stylist, florist, DJ, bridal shop and many more)! They shared tips for couples to choose their DREAM vendors and revealed common mistakes couples often make during the wedding planning process. 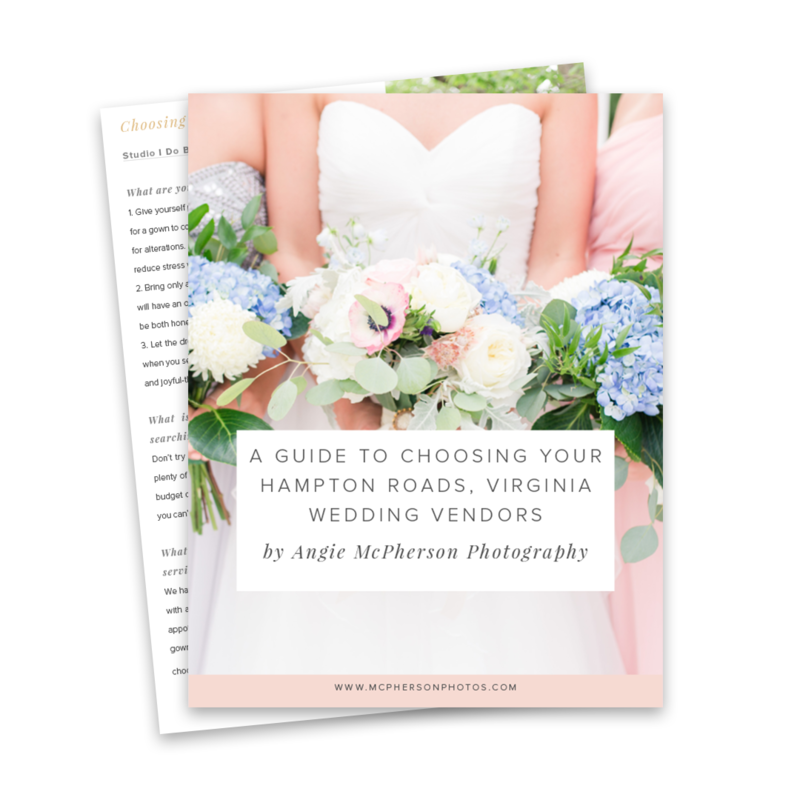 This e-guide is a MUST READ if you’re getting married in Hampton Roads so click below to download! Follow @ANGIEJANINE for more fun on Instagram!